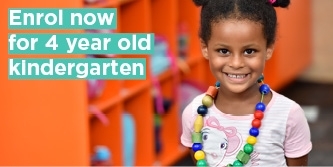 At Young Street Preschool our experienced, dedicated and qualified early childhood educators provide emotionally warm and intellectually stimulating three and four-year-old kindergarten programs. Play-based learning is at the heart of our programs. We strive to foster an inclusive environment, and we promote a positive self-image in each child. Our learning programs are flexible and adaptable to change based on the children’s ideas and individual needs. This allows them to determine the nature and direction of their learning. It is our experience that this inspires creativity, expression and ingenuity - helping children to reach their full learning potential. We encourage children to make their own decisions, whether it be selecting their own materials and equipment or choosing where they play. Curiosity is so important in children’s education, and we invite each child to contribute to their learning experience by sharing their ideas and interests with our educators. It is our goal to help nurture independent, self-confident, inquisitive learners who are not afraid to try out new ideas and think their thoughts. Parents and families are an integral part of our kindergarten year, and we always welcome their input into any aspect of preschool life. 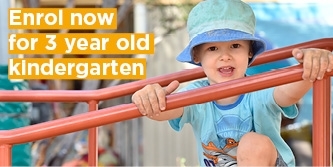 Parents are welcome to become formally involved in the day to day running of the preschool through the PAG, or informally, through parent helper rosters, special occasion days, working bees etc. Our playground has been recently updated to include a new sandpit and grass areas. We believe our grounds are the perfect environment for exploration, learning, independence and belonging.